Brazilian Waxing is a semi permanent hair removal method that removes the pubic hair from the root. This waxing technique leaves the waxed area soft and smooth and is considered a much better method than shaving using a razor or using hair removal creams. As the hair is removed from the root, it does not grow back till about 4 weeks. waxing in minimum amount of time. We use high quality and one of the best products available in the market. Specifically for Brazilian waxing we use starpil wax hard stripless wax, which is a very high quality and premium wax used only commercially for Brazilian waxing in San Luis Obispo. Read the full review of starpil wax hard stripless wax. 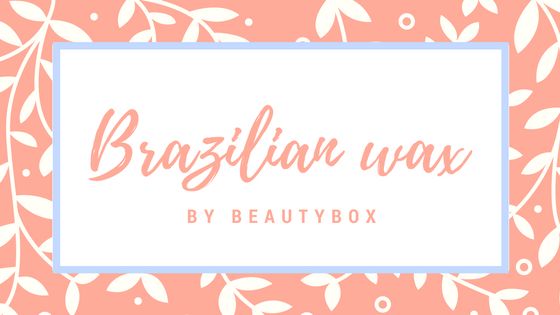 Why beautybox for Brazilian waxing in San Luis Obispo? Here in San Luis Obispo, CA there are numerous options for Brazilian Waxing. But then why choose Beautybox? Here’s why, At beautybox we ensure complete health and hygiene. Our therapists ought to sterilize their hands before each treatment. Therapists wear disposable masks and gloves to avoid contamination. We use clean towels and treat dirty towels with hot water and biodegradable detergents. Further we sterilize the tools and equipment with hospital grade disinfectants and then store in UV lamp cabinets. We DO NOT use double dipping policy to avoid contamination of wax pots. Beautybox also specializes in 15 minutes bikini Brazilian waxing. Come and experience a sophisticated service by our expert estheticians and therapists. Get brazilian waxing in less than 15 minutes. You are sure to experience a smoother self in the most comfortable manner. So what are you waiting for book an appointment now.